This high quality olive oil, 100 % obtained from a picual variety is extra virgin. Guaranteed quality extra virgin with P. D. O. Oli de Mallorca D. O. 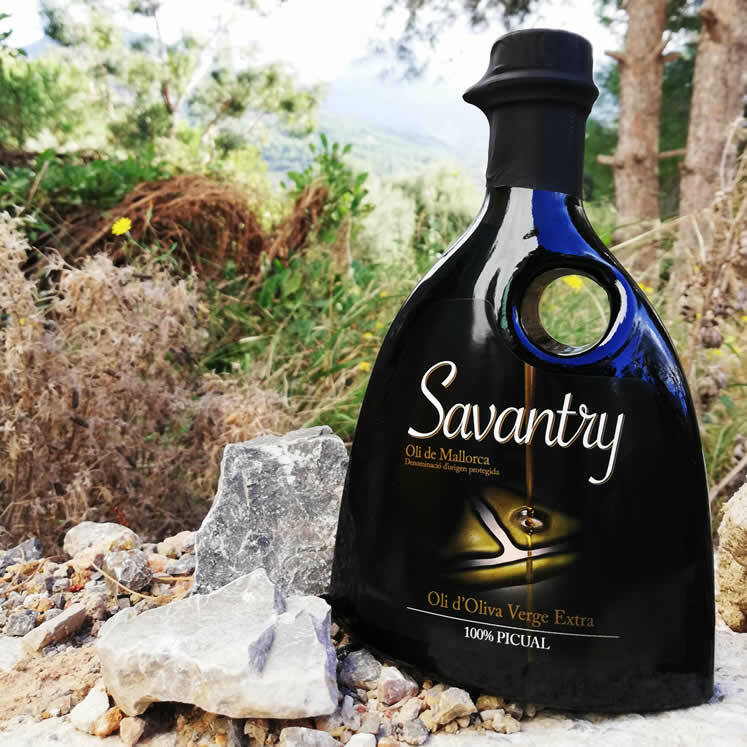 Its taste is soft and silky in the mouth and surprises the palate with a peppery and spicy note - this is a typical characteristic of the picual olive variety. It´s in an elegant, small black bottle with spout, which can be a nice decoration for the table. (The bottle can be reused.) It can be permanently suitable for a table oil bottle and be an excellent decoration.